Visualising data in real time is certainly also a question of choosing the right tools. Not always do the tools have to be overly complicated. Recently the Lego Senate easily won the media competion for smart reporting on the 2014 midterm elections in the US. 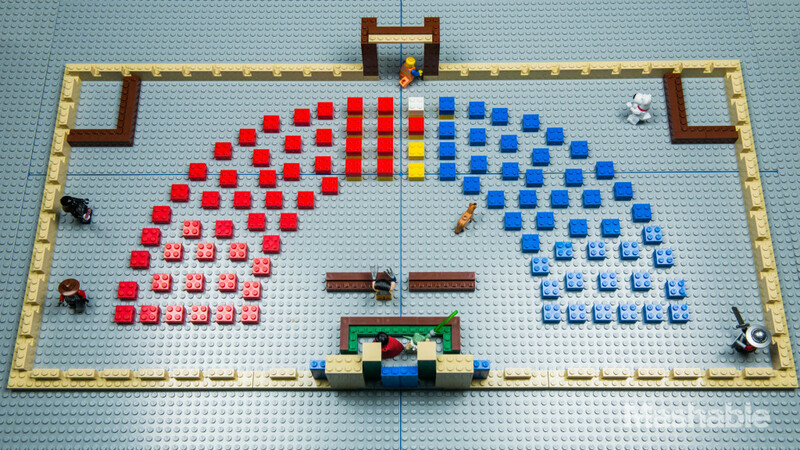 The shift from a Senate with a Democratic to a Republican majority is visualised via blue and red lego bricks. Yellow bricks are undecided and the white brick signals a delayed decision. 8. November 2014 12. Dezember 2014 dataComments are off for this post.